Charly moved here on June 12, 2012 from Les Cayes. His mother and father along with his sister and brother still live in Les Cayes. But his older sister Rosaline came to live with him here. He came here for schooling and music. He misses his television, but he loves to listen to his portable radio. 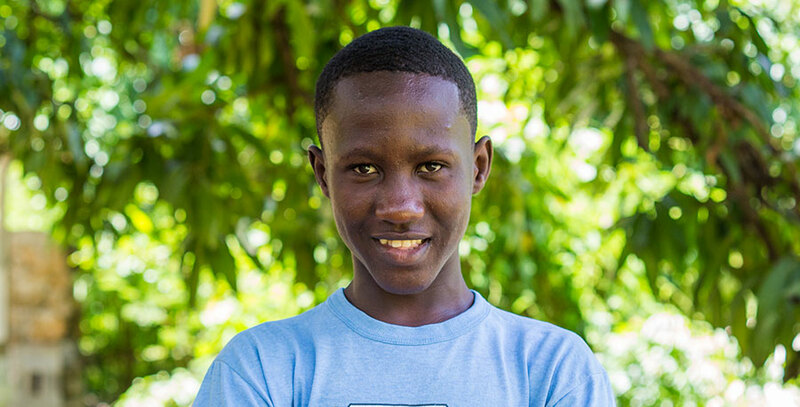 Charly enjoys school and he would like to study to be an engineer. He would eventually like to move back home once he completes his schooling and work as an engineer. He is a great soccer player and gets to play with the older boys because he is so good. His best friend is Kiberson. He really loves Jesus and is a new person because of him. He tries very hard to respect and follow his commandments.